Barring any last minute points deductions, Rotherham United will be playing in the second tier of English football again next season, and it couldn't be more timely from a financial point of view. 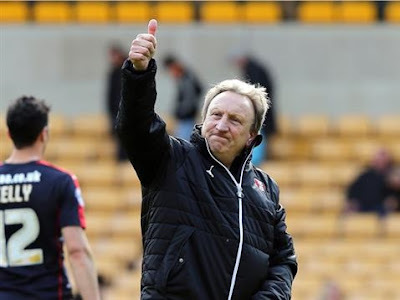 Under the leadership of manager, Neil Warnock, the Millers extended their unbeaten run to 11 matches with a draw against Wolves on the weekend, mathematically securing their place in the Championship for next year. The 2016/17 season will see the biggest ever TV deal come into play for the Premier League, worth some £5.136bn for domestic rights for three years (a 71% increase on previous years), which could be boosted by a further £3bn from overseas TV rights. Whilst Rotherham United don't (yet) play in the Premier League, these eye-watering figures are important because they trickle down the leagues in the form of solidarity payments. As teams relegated from the Premier League get parachute payments to soften the blow, league clubs also receive payments as the top flight helps in "the development of football outside of the Premier League." For both of the current and previous seasons, Rotherham United will have received between £2m and £3m in solidarity payments from the Premier League but from next season, these are estimated to jump to between £6.5m and £7.5m. Had the Millers suffered a relegation back to League One, these solidarity payments would have dropped to below £1m. These payments are on top of money from the Championship's own TV rights, currently with Sky and Channel 5. No financial details were divulged when the deal was announced but it was described as "the most lucrative in The Football League's history." And not forgetting the increased sales of season tickets and matchday tickets, merchandise and refreshments. Whilst costs increased, gaining promotion to the second tier of English football in 2014 helped to increase turnover to £11m, up from £7.1m in the previous year. Changing its financial year to fit the football season, the club reported that further growth in all revenue streams is expected to be shown when results are published for a full year in the Championship. Season ticket sales for next year are already above the 6,000 mark with average attendances at the £20m AESSEAL New York Stadium hovering around 10,000. Chairman Tony Stewart, founder of successful Rotherham firm, ASD Lighting saved the Millers in 2008 when he brought the then League Two club out of administration via a Creditors Voluntary Agreement. Speaking to the club's official website this week, Stewart said: "Huge praise has to be given to everyone involved including the manager, everyone involved in the "on the pitch" side of the club and not to mention the players who have shown terrific commitment, work rate and togetherness that makes me proud beyond belief of every single one of them. They have shown what they are made of as individuals, as a team and represented this club with outstanding pride - a chairman can never ask for more than that. "It is worth noting the "off the pitch" team too who work tirelessly to support everything we strive to achieve. We are a close knit group who go that extra mile to get the job done. We have a strong "club culture" throughout and what I mean by that is we are respectful and understanding of everybody else's pressures and look to support each other through those times. That creates unity and unity is what you need to dig deep and achieve what has been achieved this season. "Last but by no means least, you - the supporters, home and away we've been in it together whether we sit in the Directors' Box, corporate hospitality areas or in the stands, we kick and head every ball together and we share the same emotions - we are as one ... this Rotherham is truly UNITED."